The Board of the Animal Welfare Science Centre (AWSC) is pleased to announce that Professor Andrew Fisher has accepted its invitation to become Director and is confident the Centre will continue to thrive and grow in esteem under his leadership. As Director of the Centre since its inception, Professor Hemsworth was responsible for leading and coordinating the overall allocated academic and research resources of the partner organizations in the Centre. Professor Hemsworth has a long academic track record with over 450 publications. He is in the top 1 per cent of scientists for individual impact in Plant and Animal Science, according to Web of Science. The AWSC Board recognises Professor Hemsworth’s significant contribution to the Centre and said he leaves “huge shoes to fill,” but noted that Professor Fisher is a fitting successor who brings decades of international experience in animal welfare and research leadership to the role. The AWSC was formed in 1997 and its current partner organisations are the University of Melbourne, the Department of Economic Development, Jobs, Transport and Resources (Victoria, Australia), the University of Adelaide (Australia) and the South Australian Research and Development Institute. The Centre provides a focus and direction for the partner organisations’ academic and research resources in animal welfare. The Centre’s research and teaching capacity is considerable, with scientific expertise in the key disciplines of animal behaviour, psychology, stress physiology and veterinary medicine. Professor Andrew Fisher, the Centre’s new Director, graduated as a veterinarian in 1989 and worked in mixed rural practice in Colac in southwest Victoria, then in northern England. Following this he worked for four years with Teagasc, the Irish government agricultural extension and research agency, with work aimed at improving beef cattle welfare. During this time he completed a PhD through the Veterinary School at University College Dublin. Professor Fisher then moved to AgResearch in New Zealand and worked on animal welfare projects to improve transport practices for sheep and on dairy and beef cattle management practices for six years. Australia’s CSIRO recruited Andrew in 2002 to lead the livestock welfare research group based near Armidale in New South Wales. In 2009, Professor Fisher took up a position contributing to the AWSC at the University of Melbourne, and in 2011 was appointed Chair of Cattle and Sheep Production Medicine. Professor Fisher has worked with the World Organisation for Animal Health (OIE) to help write its international beef cattle welfare guidelines, and has also been involved in the development of the Australian Standards and Guidelines for the welfare of cattle, sheep and transported livestock. In 2010 he was appointed as one of the first two Fellows in Animal Welfare by the Australian and New Zealand College of Veterinary Scientists. 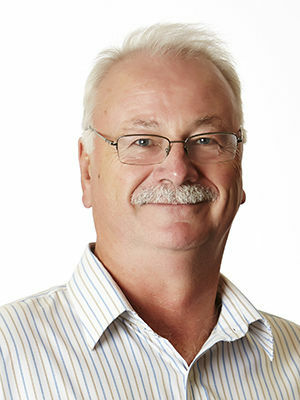 During his time at the University of Melbourne, Professor Fisher has served in various leadership roles within the Faculty of Veterinary and Agricultural Sciences, including Associate Dean for Research and Research Training, and most recently as Head of the Department of Veterinary Clinical Sciences. 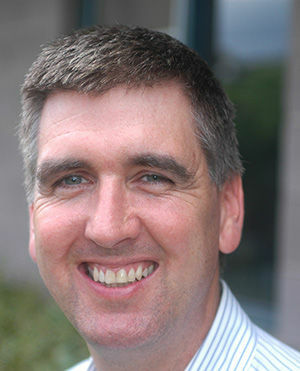 Professor Fisher brings considerable animal welfare and leadership experience to his new role for the Animal Welfare Science Centre, and is looking forward to working with Centre colleagues and external stakeholders to build on the significant contribution the Centre makes to animal welfare in Australia and beyond.